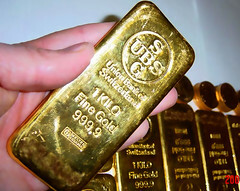 The November round of quantitative easing announced by the U.S. Federal Reserve is expected to provide support for gold prices throughout the tenure of this policy and beyond, according to a recent report from Mellon Capital Management Corporation, part of BNY Mellon Asset Management. The report, which is part of BNY Mellon Asset Management’s global market outlook for 2011, notes that the easing policy is likely to keep treasury yields low at a time that government deficit spending worldwide has raised expectations about future inflation. The report raises the possibility that gold could become a shadow currency against which all other currencies are evaluated as the world monetary base expands. Founded in 1983 by innovators in the investment management field, Mellon Capital Management Corporation applies a disciplined and analytical approach to global investment management strategies. As of September 30, 2010, the firm had $191 billion in assets under management, including assets managed by dual officers of Mellon Capital Management Corporation, The Bank of New York Mellon and The Dreyfus Corporation, and $9.2 billion in overlay strategies. Additional information about Mellon Capital is available at www.mcm.com. It is part of BNY Mellon Asset Management, one of the world’s largest asset managers.